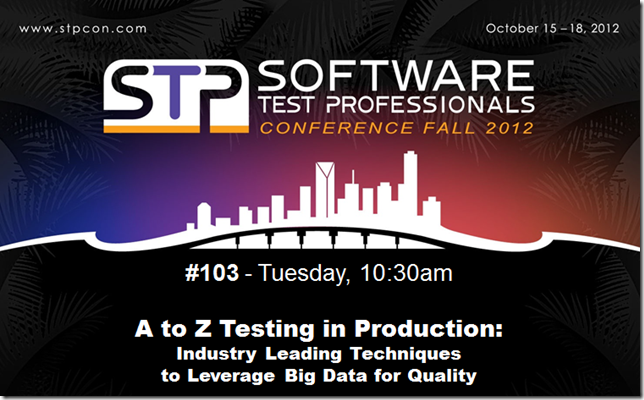 Testing in production (TiP) is a set of software methodologies that derive quality assessments not from test results run in a lab but from where your services actually run – in production. The big data pipe from real users and production environments can be used in a way that both leverages the diversity of production while mitigating risks to end users. By leveraging this diversity of production we are able to exercise code paths and use cases that we were unable to achieve in our test lab or did not anticipate in our test planning. This session introduces test managers and architects to TiP and gives these decision makers the tools to develop a TiP strategy for their service. Methodologies like Controlled Test Flights, Synthetic Test in Production, Load/Capacity Test in Production, Data Mining, Destructive Testing and more are illustrated with examples from Microsoft, Netflix, Amazon, and Google. Participants will see how these strategies boost ROI by moving focus to live site operations as their signal for quality. Also Mark Tomlinson interviewed me at STPCon, you can hear that here.